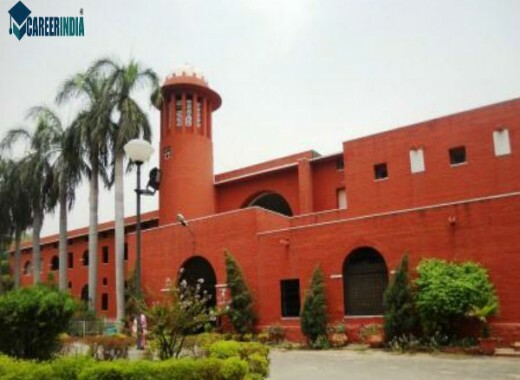 In 1947, Department of Education - University of Delhi, North Delhi, which is a constituent unit of the University of Delhi, was founded as Central Institute of Education (CIE). In the early years after its establishment, a great deal of interest was shown in the progress and the activities of the institute by the then prime minister and education minister of India, late Pandit Jawaharlal Nehru, and late Maulana Abul Kalam Azad, respectively. The sole aim of Department of Education - University of Delhi is to be a front-runner in advancing education and providing the best of professional education so those budding teachers can develop into educators with a vision and values. Currently, Department of Education - University of Delhi offers courses as per the rules and regulations of University of Delhi, New Delhi. The department is approved and recognized by National Council for Teacher Education (NCTE), Jaipur and the Institute of Advanced Studies in Education (IASE). It has also launched the Maulana Azad Centre for Elementary and Social Education (MACESE). Bachelor of Elementary Education (B.El.Ed. ): Offered in 8 affiliated colleges of the University of Delhi, one can opt for this programme after completing 12 years of schooling. It is a four-year full-time professional programme in elementary teacher education. Bachelor of Education (B.Ed. ): Offered in 3 affiliated colleges of the University of Delhi, Shyama Prasad Mukherjee College, Lady Irwin College and Maharshi Valmiki College of Education, besides CIE, one can opt for this programme after graduation or post graduation. It is a one-year professional teacher education programme which is full-time in nature. Bachelor of Special Education (Visual Impairment): Offered in Durgabai Deshmukh College, this is a one-year professional teacher education programme which is full-time in nature. Bachelor of Special Education (Mental Retardation): Offered at Lady Irwin College, this is a one-year professional teacher education programme which is full-time in nature. Master of Education (M.Ed. ): This is a one-year advanced programme in education which is full-time in nature. Master of Education (M.Ed. ): Designed for in-service teachers and other educational practitioners, this two-year advanced programme in education is part-time in nature. Master of Philosophy (M.Phil): This course for working professionals in education can be taken up either on a full-time basis (18 months) or on a part-time basis (24 months). Doctor of Philosophy (Ph.D.): This is a doctoral research programme. Post-Graduate Diploma in Special Education (Multiple Disabilities: Physical and Neurological): This programme of 1 year, with 3 months internship is run by Action for Ability Development and Inclusion (AADI). In the current campus, two courses on education are offered. These are Bachelor of Education and Master of Education, which are offered for a period of two years. Bachelor of Education (B.Ed): Candidates who want to apply to this course must have completed their graduation from a reputed college with 50% marks. SC, ST and OBC candidates are given a relaxation of 5% marks. Master of Education (M.Ed): Candidates who want to opt for this course must have got their B.Ed. degree from a reputed college with 50% marks. SC, ST and OBC candidates are given a relaxation of 5% marks. The college has well-equipped with modern facilities like library, laboratory, classrooms, computer lab, canteen, seminar halls, common rooms, auditorium, multipurpose halls, playground & hostel etc.